WAVELABS > News > News > Allgemein > LED’s copy the rainbow! Summer in Germany, this means sunshine AND rain. 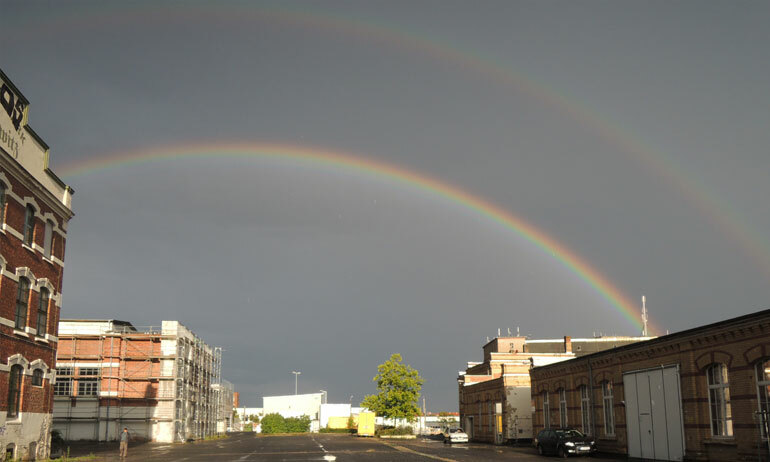 Two days ago, when we came back from our lunch break, sunshine and rain joined forces and created this wonderful rainbow which hit the roof of our factory in Leipzig beautifully and very gently. The colors of the sun. 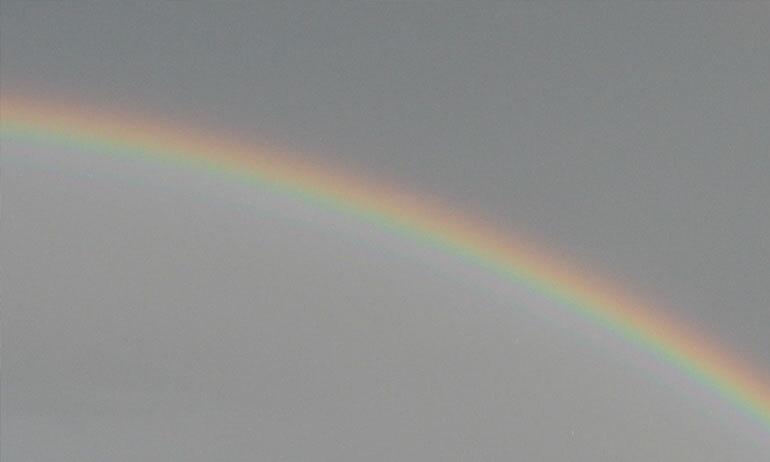 We went inside, copied the rainbow color by color with our LED solar simulator, and picked up work with a big smile.